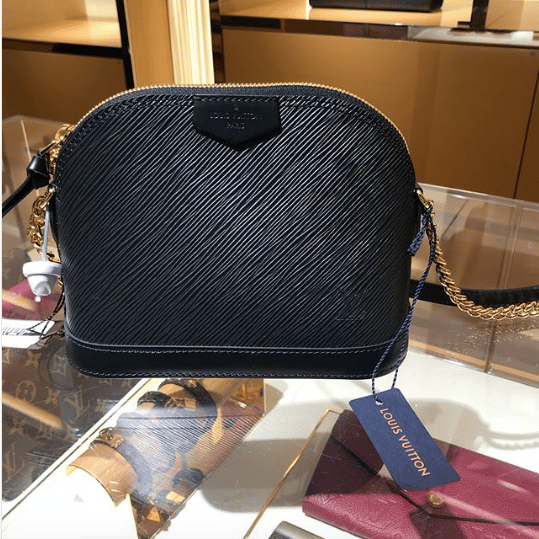 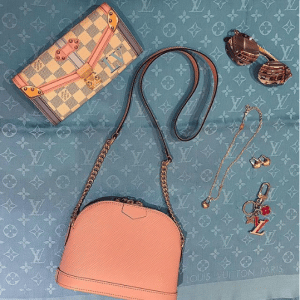 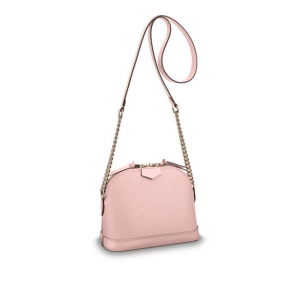 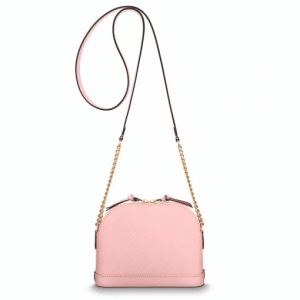 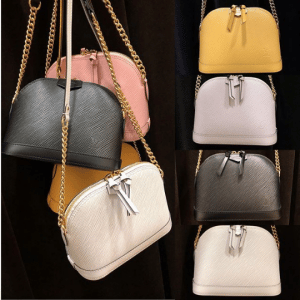 Introducing the Louis Vuitton Mini Alma Chain Bag. 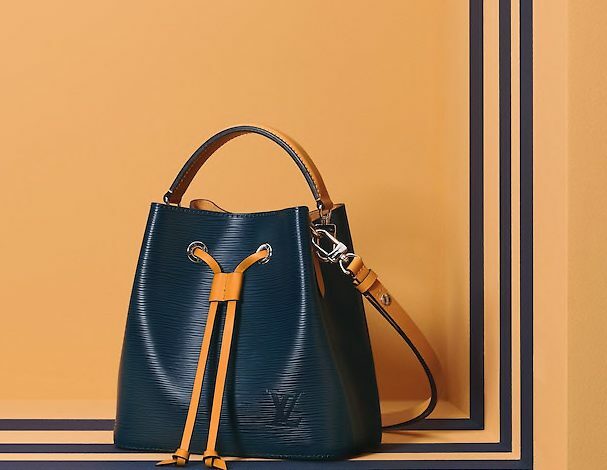 The new version of the iconic Alma bag is made available in Epi leather and comes in different colors such as Blanc, Noir, Citron, Coquelicot and Rose Ballerine. 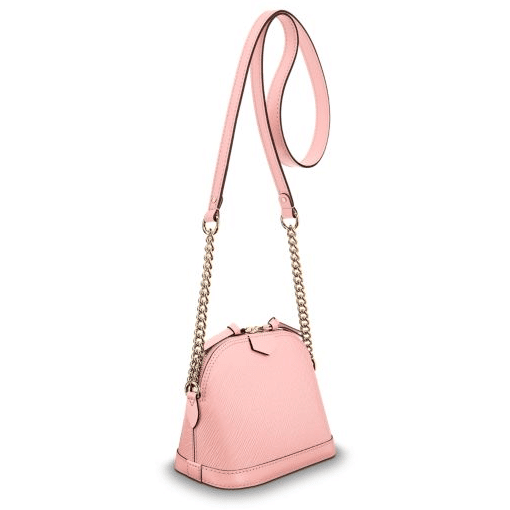 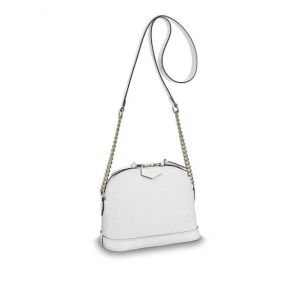 This adorable bag is perfect to use from day to night with its chain and leather strap that can be carried on the shoulder or across the body. 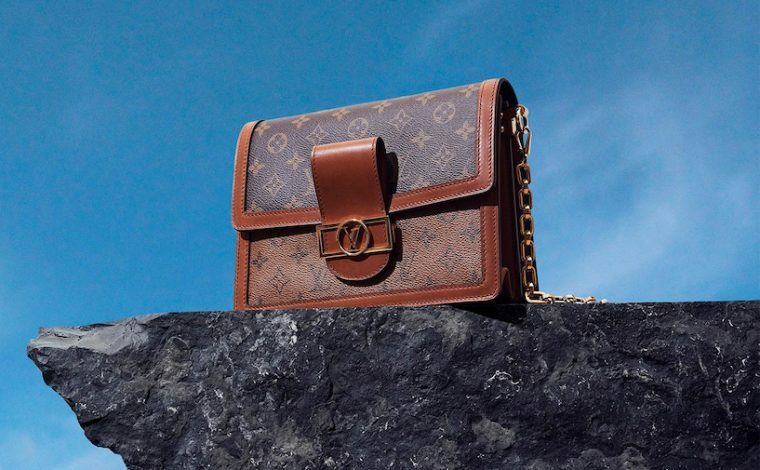 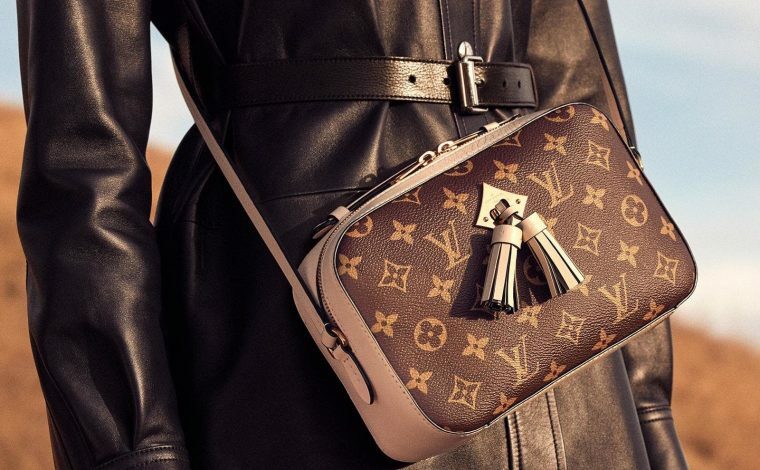 It includes an embossed LV logo and a Louis Vuitton Paris patch. 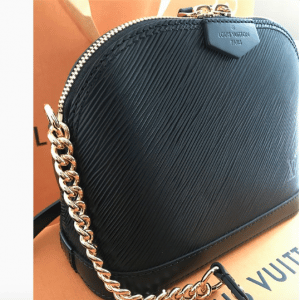 The interior is made of microfiber with an inside pocket. 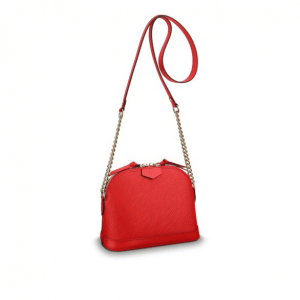 It has a wide zipped opening with two leather zip pulls. Check out the size comparison of Alma PM, BB and Mini.